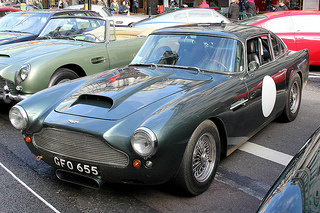 The Aston Martin DB4 sports car was introduced at the October 1958 London Motor Show as the Series 1 variant, and priced at £3,967. 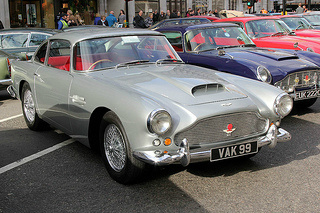 This 2+2 seater fixed head coupe was the successor to the DB2/4 Mark 3, and featured a restyled body, designed by Carrozzeria Touring of Milan, and used aluminium panels on a lightweight tubular steel chassis. As a result, it produced a curb weight of 1308 kg. Its Italian styling was well received, and created quite a stir at the launch. It was fitted with Dunlop servo assisted disc brakes on each wheel, but were later replaced by Girling equivalents. Coil springs were used on the independent front suspension and the rear live axle, and an anti-roll bar was added. An interesting point was that customers were offered a choice of a number of different back axle ratios to suit their requirements, such as a 3.31:1 for high speed driving. During this period, nearly 400 Series 2's were built. This was produced between April and September 1961, and featured the addition of three small rear lights which replaced the single unit on earlier models. From September 1961 for the next year, the Series 4 was identified by the replacement of the eggcrate-styled grille with one consisting of bars, together with a restyled air scoop on the bonnet. An optional variant was offered with a more powerful engine fitted with three SU carburettors, and a cylinder head containing enlarged valves. 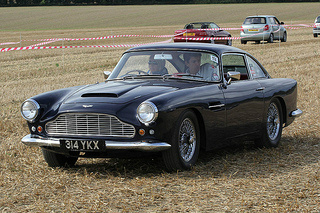 When production ended in 1963, Aston Martin had produced a total of 1,110 of the Series 1-5 DB4 sports cars. The DB4 was powered by a 3.7 litre, straight six, DOHC engine, with an aluminium alloy head and block, that developed 240 bhp at 5500 rpm, and 240 ft/lbs of torque at 4250 rpm. Linked to a four speed manual gearbox, and with a compression of 8.25:1, and two SU carburettors, it produced a top speed of 141 mph, with 0-60 mph in 8.5 secs. It delivered an overall fuel consumption of 17.7 mpg. Early models had an unfortunate tendency for the engine to overheat. 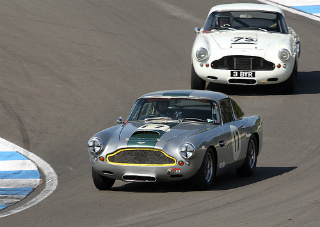 Typical competitors of the Aston Martin DB4 included the following sports cars: Ferrari 250 GTO, Jaguar E-Type Series 1, and Porsche 911. 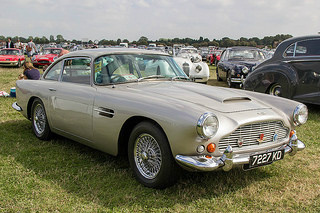 A typical price of the various series of an Aston Martin DB4 sports car are: Series 1 = $270,000/£170,000, Series 2 = $350,000/£220,000, Series 3 = $220,000/£140,000, Series 4 = $420,000/£260,000, and Series 5 = $330,000/£200,000.